There’s a lot going on in Astoria as we enter the dog days of Summer. On July 30 Boro President Katz voted to deny the applicant for the development of Astoria Cove . Explaining her reasons, Katz included insufficient amounts of affordable housing and jobs being offered within the community being most effected by this ten year project. Re-new and repair Whitey Ford Field including the continuance of the Promenade around the western end. 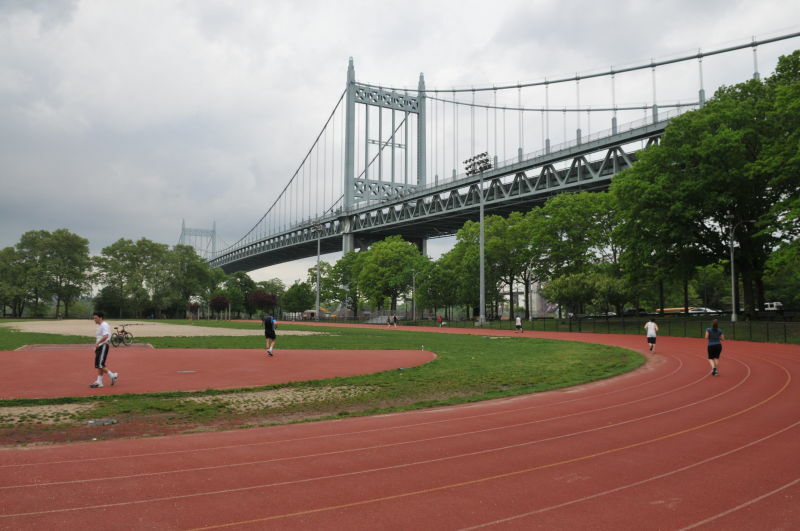 Repair and re-surface the track at the southern end of Astoria Park and create a soccer field in the center area. Up-grade and improve the playground adjacent to Astoria Pool starting with the dilapidated rest rooms. It was also agreed that city-owned land be searched for as to provide more out-door space for activities such as basket ball, etc. The Parks Dept. agrees to work with the Astoria Cove developers on the above. Meanwhile, it has just been announced that some of the members of the Board of the Queens Public Library who were “dismissed” by BP Katz are suing to be re-instated because their removal was “unconstitutional”. They are also calling for removal of the most recent law passed by the NYS Legislature regarding the libraries.